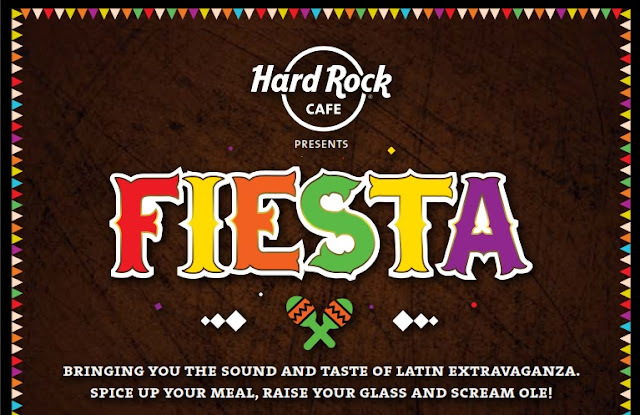 Step into Hard Rock Cafe and let the month-long Latin Fiesta from 7th August till 6th September 2015, lift your spirits with Foot-Tapping Music, Crafted Tequila Cocktails and Delicious Latin American Food. Peppy Latino music not only ragged nerves, but also made me tap to the beats of Shakira’s Whenever, Wherever, Carlos Santana’s Jingo, Rickey Martin’s Livin’ La Vida Loca and many more chartbusters. 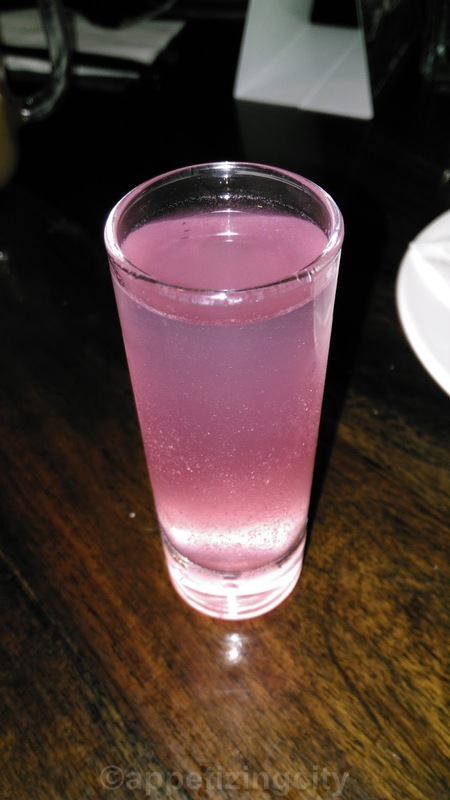 With best Latin drinks delighting taste buds. Hard Rock Cafe uses the World's no. 1 Tequila, Jose Cuervo. The staff grooved to the tunes of YMCA and made the Festival even more charming. Mexican Ice cold Bulldog Margarita - A cascade of beer was inserted in a frozen margarita. Choice of beer varied from Kingfisher to Corona. 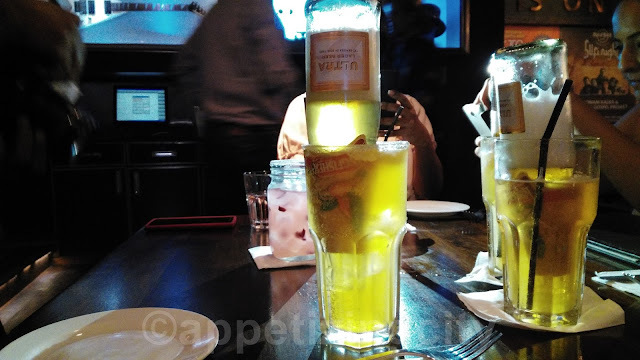 Though they were strong, but they turned out to be the star of the evening. 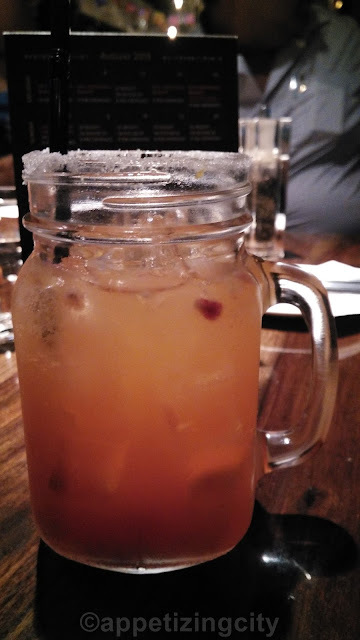 Pome & Malta Margarita - Muddled Orange, Pomegranate and Tequila made this drink smooth. You might want to try this. Liquid Lust - A sweet and tangy blend of Tequila, white wine, cranberry, orange and lime. The brim is coated with salt which makes it light and apt with its flavors. 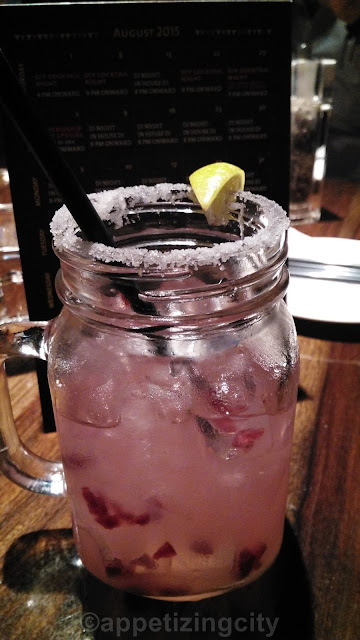 Tequila Slammer - Jose Cuervo Especial Reposado tequila with a fizz. One shot and slam it on the table, is the only way to enjoy this. 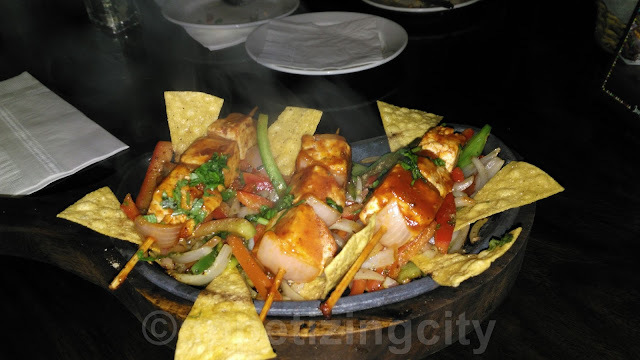 Latin Fiesta consisted of dishes like Char Grilled Tex Mex Skewers, Tijuana Chicken sub roll and Spanish influenced Fire Cracker Crunchy Chicken Tenders. For sea food lovers, they offered Orange Tequila Prawns. I am sure with such variety, it must have been a splendid evening for all those who ate the Non Vegetarian section. 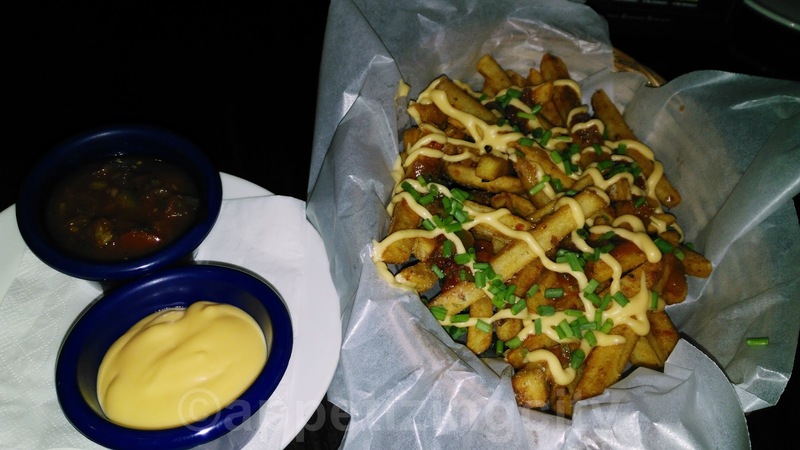 For vegetarians they offered Brazilian Barbeque Veg Grill Skewers, a Sub Roll and Red Rod Fries. Barbeque Veg Grill Skewers - Cottage cheese skewers served over chimi-churri fajita, onion and bell peppers. 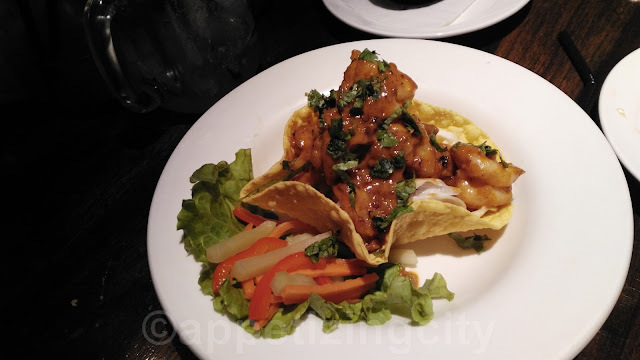 They were served sizzling hot and were glazed with spice and barbequed sauce. 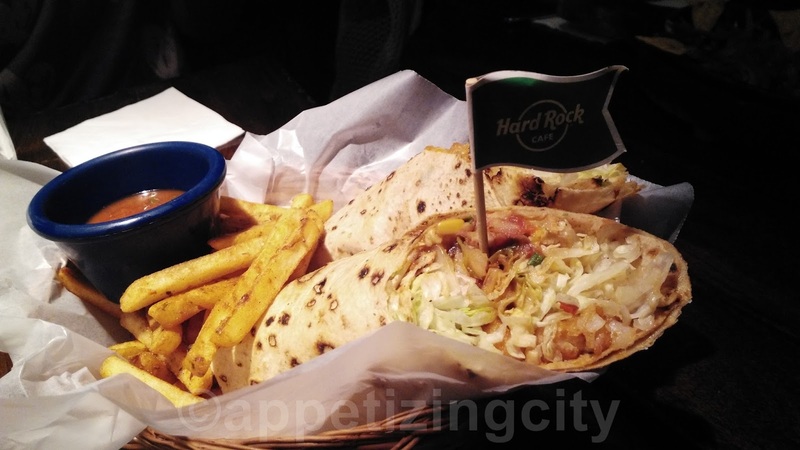 Sub Roll - Blend of Mexican spices and tantalizing vegetables wrapped in a roll served with the Salsa dip. Red Rod Fries - Crispy fries topped with dry spice, cheddar cheese sauce, jalapeno, spring onions and sweet chili drizzle. They were served with the tangy salsa sauce. Indulge in the Latin American Fiesta at Hard Rock Cafe, as they offer something for every palate. Towards the end of the evening, Hard Rock offered us to try the DIY Cocktail session. Make a cocktail with the help of the bar tender, mix n shake it well and drink up! Hurry up! Latin Festival at Hard Rock Cafe ends on the 6th of September 2015.